Geico has agreed to pay $6 million and change discriminatory auto-insurance pricing in a settlement announced Monday with the California Department of Insurance. The insurer, a subsidiary of Berkshire Hathaway, was misrepresenting the minimum automobile insurance policy of $15,000 per person and $30,000 per accident to potential customers it considered to be less desirable, according to the department. They were given quotes stating that $100,000 per person and $300,000 per accident was the lowest available coverage, the department said. Nancy Kincaid, a department spokeswoman, said the higher quotes would encourage the customers to look elsewhere for insurance. 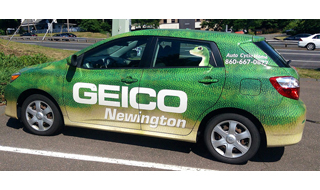 “The department’s concern was that Geico’s website was creating a sticker shock when getting a quote,” she said. The agreement stems from a petition filed by the Consumer Federation of California asking the department to take action against the Chevy Chase, Md.-based insurer on the grounds that it was discriminating based on occupation, education level and other personal characteristics. The federation had tested Geico’s website and found the insurer misrepresented information for customers who were unmarried, unemployed or employed in a low-wage occupation, had not obtained a four-year college degree and had gaps in insurance coverage, according to the petition documents.